This October Jo will be leading a “Kitchen Table” discussion and Physical Workshop for China Changing Festival at the Southbank, London. Ways of Being Together is part a series of workshops, discussions and performances centred around the idea of Belonging. Both events are FREE to attend, places are limited so do book. Join Jo for a table discussion – the kitchen table is where many a good idea will start. This gathering is suitable for artists from any genre music, dance, visual arts, film… or perhaps you are someone who is interested in the question, What is Community? Jo is interested in spontaneity, authentic encounters and drawing on our own experiences. She wants to stimulate fresh conversation, empowerment and action, creating an art action or a pledge, something positive however small or potentially groundbreaking. This project stimulates conversation around collaboration, participation, inclusivity… We have also talked about parties, friendship, responsibility, gardens, permaculture and other things. As part of China Changing there will conversations about “Chineseness” in Britain. 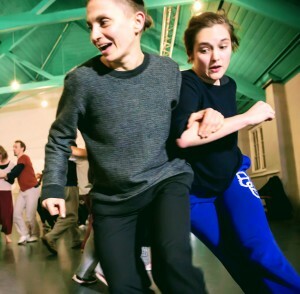 This session is suitable for people who love to move and are interested in moving together: dancers, actors, circus folk, pilates teachers, japanese drummers, martial arts… experts and non-experts. 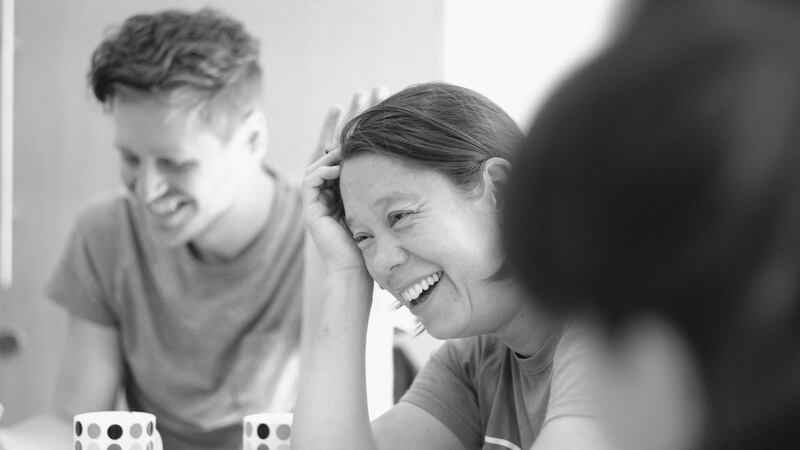 Choreographer Jo Fong leads a warm-up followed by pair work, group work and games that she has devised and developed as part of her creative process. 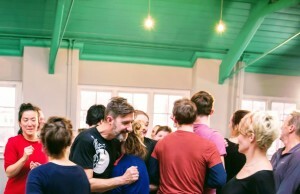 Working from the inside of the body to the outside and using guided improvisation, the process incorporates a sense of play and experimentation. Jo is interested in spontaneity and authentic encounters. The interaction is live and people adapt, make room, save, lead, follow, get out of the way, care, grow an energy and awareness, whether that be spacial, a shared joke or about the knowledge of what each human carries with them. Suitable for all aged 16+. Jo Fong is a director, choreographer and performer working in dance, film, theatre, opera and the visual arts. Jo’s practice is influenced by her eclectic experiences in many dance and theatre making processes and performance. She has performed with companies such as Rosas (Belgium), DV8 Physical Theatre and Rambert Dance Company. Current projects and collaborations include Wallflower and Engish with Quarantine and National Theatre Wales, Neither Here Nor There with artist and writer Sonia Hughes and An Invitation… as part of LEAP Festival in Liverpool. Jo is an Associate Artist with Chinese Arts Now (CAN) and Chapter Arts Centre, Cardiff and this project forms research for a new commission entitled Assemble for CAN Festival, 2020.